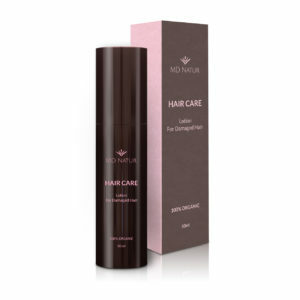 MD Natur Hair Care Anti-Dry Hair Lotion will nourish and regenerate your hair and scalp. Regain soft, supple, nourished and shiny hair with MD Natur Hair Care Anti-Dry Hair Lotion. High in anti-oxidants the Lotion protects from free radicals and harmful UV rays. An amazing smell and texture ! Most amazing product I used in a long time! I tried all treatments and brands on the market but none of them seem to work as much as Phibio Hair Care for Dry Hair ! I use it once a week and my hair looks great! I’m so happy I found this brand! I would recommend it to anyone who wants an amazing hair! Just what I need befor summer ! Amazing results I’m In love. I recently got this Anti-Dry Hair lotion from @phi_bio and i have been loving it! It gives your hair protection from the sun and it makes it smell like heaven and it is 100% organic! What more could you ask for? The first time I used the oil, my scalp was irritated and I could barely brush my hair. What I did was massage a few drops into my scalp and three or four pumps into my hair. I slept like this overnight, covering my pillowcase with a clean towel. The smell of the product alone is amazing! So clean and herbal! The next day I used a sulphate-free conditioner as my first cleanse to remove the oil from my hair, then I followed with sulphate-free shampoo. I then styled my hair as normal and I was pleased to notice that my hair was more hydrated. There is no silicones in this lotion to make the hair strand shiny, just bio certified oils. My scalp is happy, my hair is happy! With our unique blend of pure botanicals carefully selected by our Swiss research team: dry and brittle hair will be a thing of the past! The exclusive MD Natur Hair Care formula based on 100% natural and organic essential oils of the highest quality will nourish and regenerate your hair and scalp. Organic Grape Seed Oil is an excellent natural emollient which balances moisture levels in hair and scalp. It is a natural growth and strengthening treatment for your hair. Organic Ylang-ylang essential oil nourishes and strengthens your hair, in combination with the blend of organic Lavender and Clary Sage essential oils, stimulates the regeneration of your hair, and allows your scalp to better regulate sebum production to combat dry hair. Organic Geranium Rose essential oil balances and energizes hair and scalp. Packed with natural anti-oxidants, the unique blend of carefully selected essential oils penetrates the hair shaft and has rapid, visible results. The visible benefits of MD Natur Care Anti-Dry Hair Lotion are cumulative over time, therefore we recommend using the Lotion two to three times a week, for maximum results. Free of: Parabens, Silicones, Sulphates, preservatives, animal by-products, artificial colouring and added perfumes or fragrances. Alcohol free. Only the purest essentials oils are used, no extracts or substitutes of essential oils! MD Natur uses only the purest, freshest ingredients to ensure maximum results. We recommend using and enjoying your Hair Care with three months of opening, to guarantee the maximum potency of the ingredients. Apply the Lotion generously to dry and unwashed scalp. Massage the scalp well. Follow by applying the Lotion on roots, mid-lengths and hair ends, adding more Lotion as needed. Leave on for at least 20 minutes before washing hair and scalp with a gentle shampoo (ideally sulphate and silicone-free!). In case of sensitive scalp associated with dry hair, let the Lotion work for 30 minutes to 2 hours. In case of severely dry hair leave on the Lotion for at least 4 hours. Follow application method for the pre-shampoo treatment. Wrap hair in a shower cap or cellophane to protect pillows and sheets overnight. Wash hair in the morning with a gentle, sulphate and silicone-free shampoo. We recommended using the overnight treatment at least once a month. Use two to three pumps of Lotion on towel dried-hair avoiding scalp and roots, to help detangle, smooth, de-frizz and protect hair against heat damage from hot tools. Use as a daily softening and glossing serum to take your hair care to the next level. The high concentration of anti-oxidants acts as an UV filter and protects against free radicals. Use one to two pump of Lotion on mid-lengths and ends. Do not rinse. Do not use if you have known allergies to any of the ingredients. In case of doubt consult your doctor or pharmacist. Avoid contact with eyes. If product accidentally comes in direct contact with eyes, rinse immediately with clear water and seek medical attention. In case of allergic reaction discontinue use immediately and rinse with water and gentle soap or shampoo. Allergic reaction should stop immediately once the product is washed off; if it persists consult a medical professional.